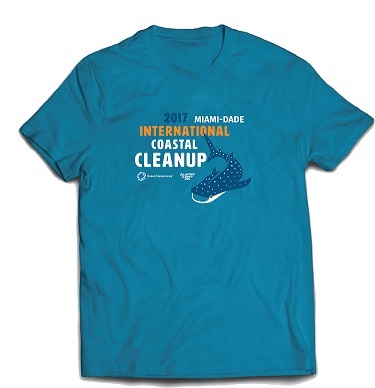 As part of our commitment to keeping our beaches beautiful, MB Miami Beach Suncare invites you to join the world’s largest volunteer effort for our ocean and waterways by participating in International Coastal Cleanup Day. We can't wait to see you there! If please have guests in your party RSVP individually so we can ensure they get all information and details about the event and so we can properly plan for capacity. Feel free to bring snacks/water in a reusable bottle. Let's reduce plastic waste where possible! In 2016 more than 18 million pounds of trash was collected by over 500,000 volunteers during the International Coastal Cleanup. Here in Miami Dade, we collected 15,000 pounds of marine debris from 31 miles of coastline. By volunteering at ICC you will be actively participating in a global citizen science project, not only by removing marine debris but by cataloging and tallying what you find using the Ocean Conservancy's data collection cards or the Clean Swell App. The resulting item by item, location by location ocean trash index that Ocean Conservancy compiles each year provides the only global snapshot of the marine debris littering coast and waterways around the world. We need YOUR help to keep this momentum going!